Desire is the very essence of a man. Variant: All noble things are as difficult as they are rare. Variant: There is no hope unmingled with fear, and no fear unmingled with hope. Variant: I call him free who is led solely by reason. Philosophy has no end in view, save truth. Faith looks for nothing but obedience and piety. The first thing that constitutes the actual being of a human Mind is nothing but the idea of a singular thing which actually exists. Men do all things for an end, namely, for that which is useful to them, and which they seek. Thus it comes to pass that they only look for a knowledge of the final causes of events. I make this chief distinction between religion and superstition, that the latter is founded on ignorance, the former on knowledge. He who seeks equality between unequals, seeks an absurdity. Every man, by the laws of his nature, necessarily desires or shrinks from that which he deems to be good or bad. Pride is a species of madness, wherein a man dreams with his eyes open. I have laboured carefully, not to mock, lament, or execrate, but to understand human actions. Variant: I have made a ceaseless effort not to ridicule, not to bewail, not to scorn human actions, but to understand them. Every idea that in us is absolute, or adequate and perfect, is true. In the Mind there is no absolute, or free, will, but the Mind is determined to will this or that by a cause which is also determined by another, and this again by another, and so to infinity. The more a government strives to curtail freedom of speech, the more obstinately is it resisted; not indeed by the avaricious, ... but by those whom good education, sound morality, and virtue have rendered more free. Man can, indeed, act contrarily to the decrees of God, as far as they have been written like laws in the minds of ourselves or the prophets, but against that eternal decree of God, which is written in universal nature, and has regard to the course of nature as a whole, he can do nothing. 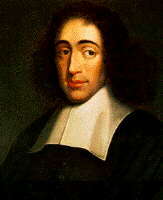 As men's habits of mind differ, so that some more readily embrace one form of faith, some another, for what moves one to pray may move another to scoff, I conclude... that everyone should be free to choose for himself the foundations of his creed, and that faith should be judged only by its fruits. As for the terms good and bad, they indicate no positive quality in things regarded in themselves, but are merely modes of thinking, or notions which we form from the comparison of things with one another. Thus one and the same thing can be at the same time good, bad, and indifferent. For instance music is good for him that is melancholy, bad for him who mourns; for him who is deaf, it is neither good nor bad. The Affects, therefore, of hate, anger, envy, etc., considered in themselves, follow from the same necessity and force of nature as any other singular things. 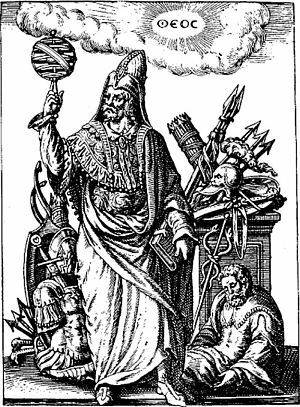 And therefore they acknowledge certain causes, through which they are understood, and have certain properties, as worthy of our knowledge as the properties of any other thing, by the mere contemplation of which we are pleased. Men would never be superstitious, if they could govern all their circumstances by set rules, or if they were always favoured by fortune: but being frequently driven into straits where rules are useless, and being often kept fluctuating pitiably between hope and fear by the uncertainty of fortune's greedily coveted favours, they are consequently for the most part, very prone to credulity. Anyone who seeks for the true causes of miracles, and strives to understand natural phenomena as an intelligent being, and not to gaze at them like a fool, is set down and denounced as an impious heretic by those, whom the masses adore as the interpreters of nature and the gods. Such persons know that, with the removal of ignorance, the wonder which forms their only available means for proving and preserving their authority would vanish also. Nothing comes to pass in nature, which can be set down to a flaw therein; for nature is always the same and everywhere one and the same in her efficiency and power of action; that is, nature's laws and ordinances whereby all things come to pass and change from one form to another, are everywhere and always; so that there should be one and the same method of understanding the nature of all things whatsoever, namely, through nature's universal laws and rules. Now since we have the rare good fortune to live in a commonwealth where freedom of judgment is fully granted to the individual citizen and he may worship God as he pleases, and where nothing is esteemed dearer and more precious than freedom, I think I am undertaking no ungrateful or unprofitable task in demonstrating that not only can this freedom be granted without endangering piety and the peace of the commonwealth, but also the peace of the commonwealth and piety depend on this freedom. When you say that if I deny, that the operations of seeing, hearing, attending, wishing can be ascribed to God, or that they exist in Him in any eminent fashion, you do not know what sort of God mine is; I suspect that you believe there is no greater perfection than such as can be explained by the aforesaid attributes. I am not astonished; for I believe that, if a triangle could speak, it would say, in like manner, that God is eminently triangular, while a circle would say that the divine nature is eminently circular. Thus each would ascribe to God its own attributes, would assume itself to be like God, and look on everything else as ill-shaped. As reason makes no demands contrary to nature, it demands, that every man should love himself, should seek that which is useful to him... everything which really brings man to greater perfection... first, that the foundation of virtue is the endeavor to preserve one's own being, and... happiness consists in man's power of preserving his own being; secondly, that virtue is to be desired for its own sake, and that there is nothing more excellent or more useful to us... thirdly and lastly, that suicides are weak-minded, and are overcome by external causes repugnant to their nature. Further... we can never arrive at doing without all external things for the preservation of our being or living, so as to have no relations with things which are outside ourselves. 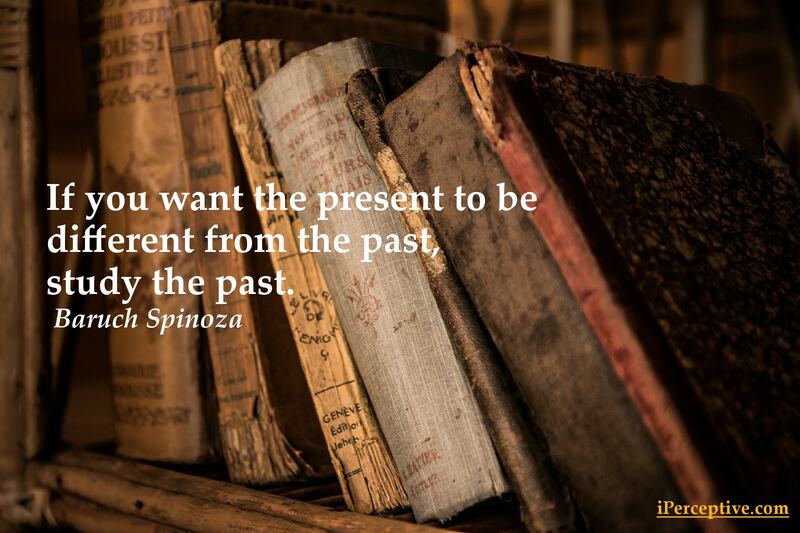 ...our intellect would be more imperfect, if mind were alone, and could understand nothing besides itself. 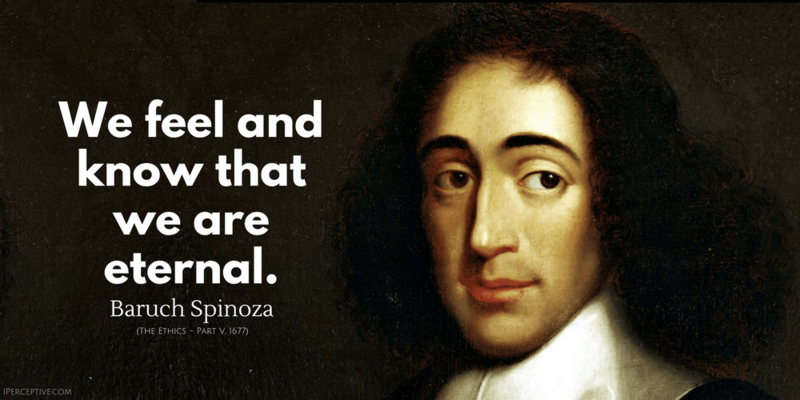 Baruch Spinoza, also known simply as Spinoza was a Dutch philosopher. He has had an immense influence on Western philosophy and is often regarded as one of the greatest rationalists of all time.